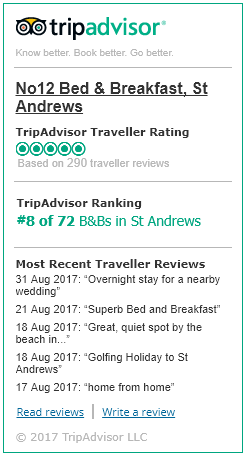 No12 Bed and Breakfast in St Andrews is a friendly, owner run modern home with individually designed bedrooms. Two bedrooms have fabulous sea views overlooking East Sands Bay with the third bedroom overlooking the colourful garden and St Andrews skyline. 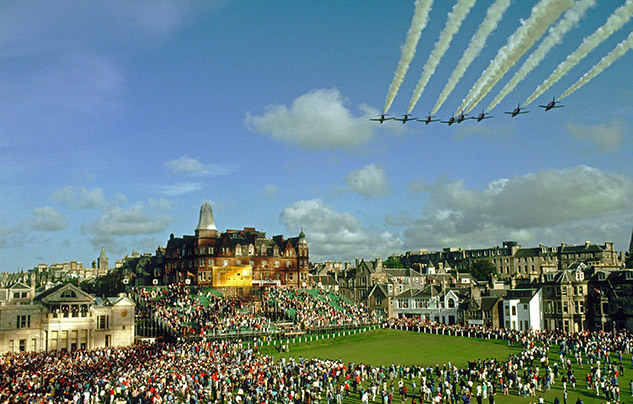 Renowned as the “Home of Golf” St Andrews offers golfers seven fabulous links courses all open to the public. The World famous Old Course, The New, The Jubilee, The Eden, Strathtyrum, Balgove and The Castle Course are open to all to play as are the golf practice centre and the three clubhouses. No12 is a non-smoking house as is all accommodation in Scotland.